European Travel Insurance (ERV, Kyiv) has signed an agreement with PrivatBank to provide travel insurance services to holders of bank cards, the insurance company has said in a press release. Under the agreement the insurer has been providing the possibility of getting a one-year travel policy when clients register payment cards for the clients and their families since December 2016. 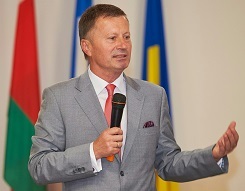 “Ten insurance programs with various insurance coverage sums will be offered to clients of PrivatBank – from basic Classic that includes mandatory insurance for people travelling abroad to the Diamond premium package covering over 45 risks, including the cancelation of a trip, delay of flights, loss of luggage and other risks each traveller can face before and during his or her trip,” Sales Department Head Oleksandr Vishtaliuk said. The company said that insurance sums depend on the program and vary from EUR 30,000 to EUR 100,000. Programs for children of card holders and relatives aged under 80 are foreseen. Insurance programs are effective in all countries, apart from Ukraine during one year if the length of each trip does not exceed 60 days. All insurance programs cover urgent medical care, in-patient and out-patient treatment, repatriation. Euro-Center Holding SE assistance company provides for 24-hour assistance to the client if insurance events occur. ERV Board Chairman Myroslav Boichyn said that personal insurance companies would allow expanding the range of services for the clients of the bank and will stimulate them to use banking cards more actively. ERV was founded in 2006. It is a leading company on the Ukrainian tourist insurance market.